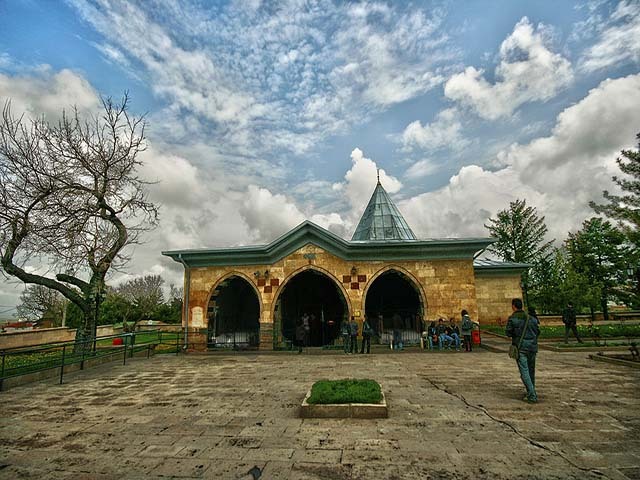 ﻿Haji Bektash Veli complex is an Alevi Cultural Monument of the Republic of Turkey, located in Hacıbektaş, Nevshehir province. It was built in the 13th century as a Teqe (Zawiya) of the Sufi saint Haji Bektash Veli. After his death, his mausoleum was built in the place.